Silicone sprays were originaly developed for use as a protection for electrical connections in the automotive industry. Its function was to provide protection against water penetration and oxidation. Because silicone lubricants contain long linear polymers which easily slide over each other they make for easy and free movement. Technical information on Silicone, how it works and the pros and cons. Safe on plastic and nylon connection blocks. One of the best lubrications suitable for specialised areas such as curtain sided truck runners and roller door guides. Silicone sprays are used as a protection againest UV and premature ageing. When silicone spray is used on rubber items such as door weather strips it prolongs their lives tremendously. 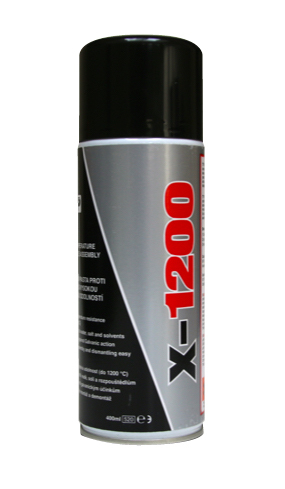 DS-100 Silicone spray is ideally suited to use on doors, locks & hinges. Protect rubber mouldings & prevent dirt build up. Even sticking seatbelt can be freed up using DS-100 silicone spray. DS-100 dry silicone spray lubricant is one of the most universal lubricants available. Due to silicones ability to resist salt water and air you can use to protect fishing equipment. In addition it prevents corrosion and is therefore widely use for sailing and boating equipment.